On Feb. 4, residents can join the celebration for the opening of the museum at its permanent home at Historic Smithville Park. Burlington County Freeholder Director Bruce Garganio has announced that on Saturday, Feb. 4, residents are invited to join in the celebration for the opening of the Underground Railroad Museum of Burlington County in its new permanent home at Historic Smithville Park. The Underground Railroad Museum of Burlington County previously operated in the City of Burlington as a private enterprise run by Louise Calloway. When the museum was forced to close its doors in 2013 due to financial restraints, the Burlington County Freeholder Board said it would find a dedicated space for the museum. The event will kick-off at 10 a.m. with the Black History Art Exhibit featured in the Smithville Mansion Annex Gallery. The ribbon cutting ceremony will begin at 1:30 p.m. and feature a libation ceremony and blessing. A libation ceremony is a ritual of heritage, a drink offering to honor and please the Creator, the lesser divinities, sacred ancestors, humans present and not present, as well as the environment. In conjunction with the grand opening of the museum, the Black History Month Art Exhibit will be on display in the Smithville Mansion Annex Gallery. This invitational exhibit sponsored by the Underground Railroad Museum of Burlington County illustrates art as visual expressions of cultural consciousness, self-discovery, and affirmation. “Following the ribbon cutting ceremony, guests will be invited to tour the new museum and light refreshments and live entertainment will be provided in the Smithville Mansion Gallery,” Garganio said. Garganio also said guests will have the opportunity to meet the artists at the art reception and enjoy live performances by Kameelah Samar and radio personality from PRAISE 107.9 FM Brother Marcus. “Guests are also welcome to visit the Worker’s House & Gallery and the Burlington County Park’s Visitor Center which will be open from 10 a.m. to 4 p.m.” Garganio said. The Underground Railroad Museum of Burlington County is located at 803 Smithville Road in Eastampton. The museum is open to the public Thursday through Saturday from 10 a.m. to 4 p.m. and on Sunday from noon to 4 p.m. Admission is free. 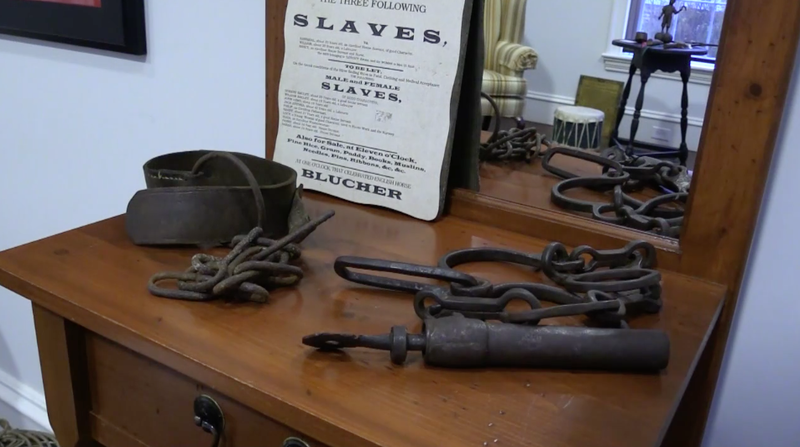 For more information call the Burlington County Division of Parks at (609) 265–5858 or visithttp://www.co.burlington.nj.us/1415/Underground-Railroad-Museum.